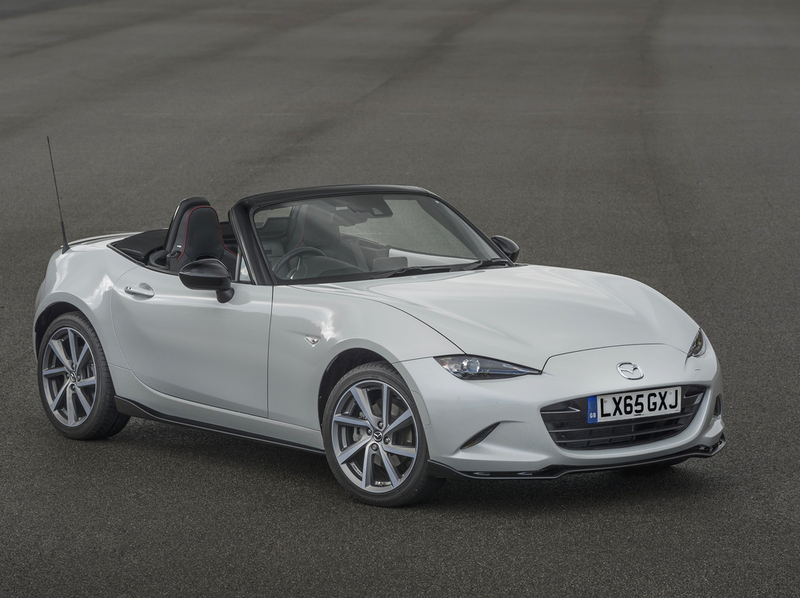 Mazda has teamed up with German sports seat company Recaro for a limited edition MX-5. 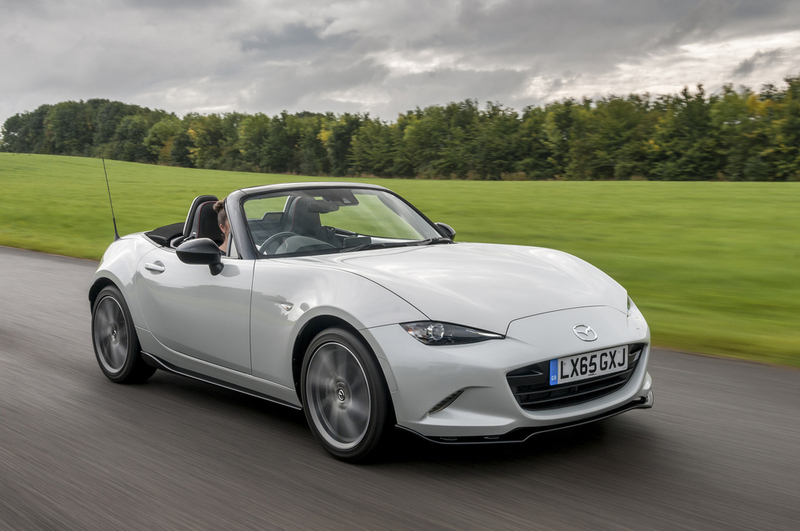 The new Mazda MX-5 Sport Recaro has joined the company's sports car line up and is based on the 2.0-litre 160PS Sport Nav model. Limited to just 600 cars it benefits from 'added exclusivity and sporty styling enhancements' inside and out. Created with the 'discerning sports car fan in mind' says Mazda, the Sport Recaro adds a Brilliant Black Sports Aero kit that includes a rear spoiler, plus front, side and rear skirts. Piano Black door mirrors and 17-inch Diamond Cut alloy wheels with an engraved MX-5 logo complete the stand out exterior appearance. 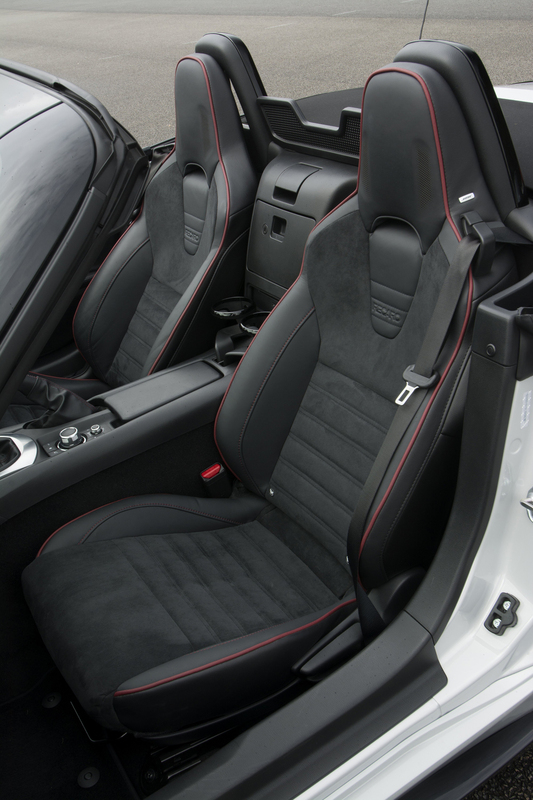 Inside, the MX-5 cabin naturally gets standard Recaro seats finished in Alcantara on the seat cushion and seat back, while red seat piping compliments the red stitching found on the dash, handbrake and gear lever. An Alcantara dashboard panel, alloy pedals and unique floor mats can also be found. 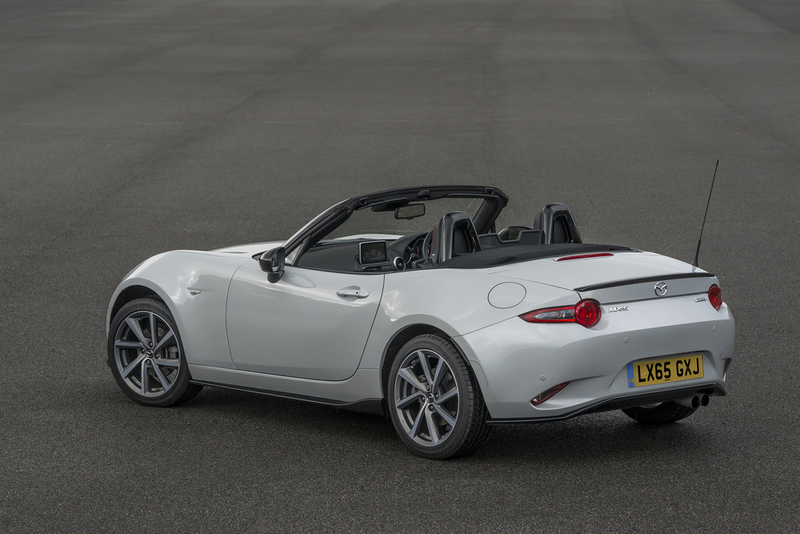 Designed to deliver 'outstanding lumbar and lateral support' the heated Recaro seats complement the MX-5's driver-focused cabin and communicative controls. Features on the Sport Recaro model include LED headlights, a leather steering wheel, climate control air-conditioning, rain sensing wipers, rear parking sensors, smart keyless entry, a premium Bose sound system and cruise control, plus Mazda's MZD-Connect connectivity and infotainment system with 7-inch Colour touch-screen display and Multimedia Commander. With a dynamic set-up that includes Sports suspension featuring Bilstein dampers, a limited slip differential and strut tower bar, the Sport Recaro MX-5 is the first Limited Edition version of the new model offered in the UK. Its exclusivity is marked out by an individually numbered badge located on the centre storage box lid. 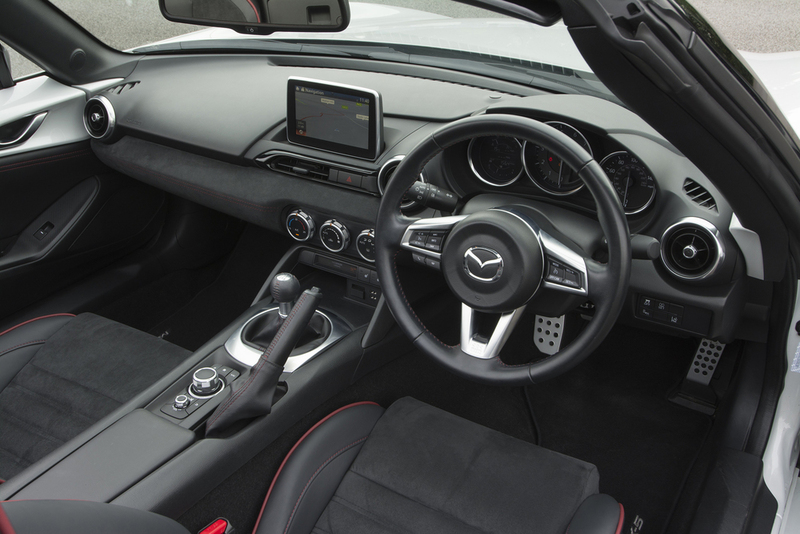 Available to order now, the Mazda MX-5 Sport Recaro costs £24,295 OTR.